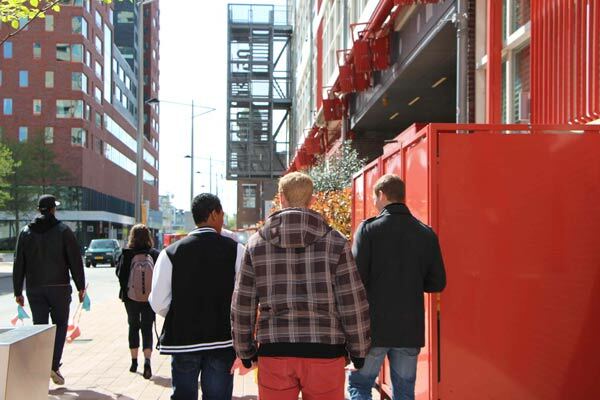 Our first open house in the Mediawharf – Streetwise billboards project took place on the 14th of November. Not only was it the first time that the public could see our new workspace. It was also the official premiere of the One Minutes, which are short movies that the students have made about themselves in and around Rotterdam Zuidplein. Each movie is a personal portrait of a student that shows his or her daily life. With all this footage our team made a great short movie. The first game prototypes, developed by the students with our young professionals, were also shown at the open house. Different parties joined us that day. Our friends, ambassadors, partners, sponsors and board members came in to meet the team and the students. We want to thank everybody that came that day and supported our project.